When you’re getting married, you may consider combining finances for easier bill paying and spending accountability. But before you cancel your old credit cards and apply for joint cards with your new spouse, take these pointers into account. What’s wrong with canceling my old cards? One of the factors that determines your credit score is length of credit history, or the average age of your credit accounts. When you cancel old cards or apply for new cards, that average age is decreased and so is your credit score. Unless you have a pressing reason to cancel old cards — such as a high annual fee on a card you don’t use anymore — you should keep accounts open and use them occasionally. This is most important for your oldest credit card, because its long history is great for your credit score. You may not use that card as your primary plastic anymore, but keep it open and use it occasionally. But shouldn’t we get cards together? 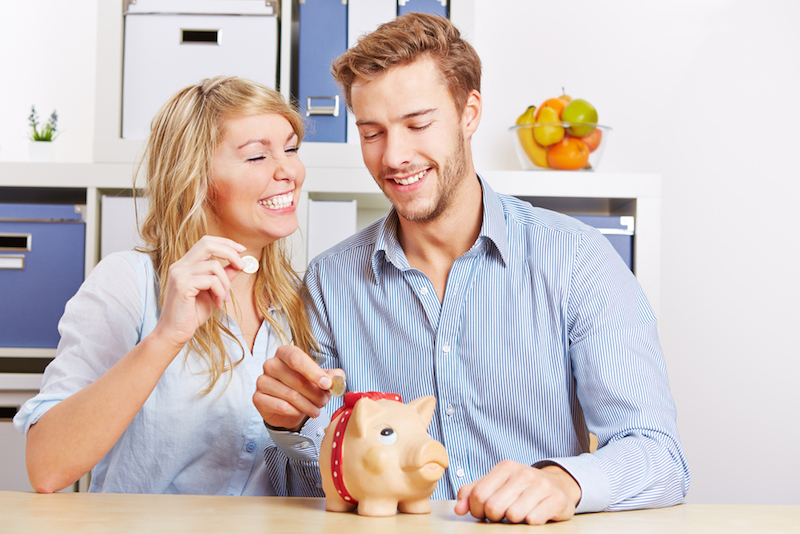 Many couples choose to have joint checking and savings accounts to make bill paying and saving for mutual goals easier. That’s fine. However, we recommend you don’t open a joint credit card with anyone, including your spouse. When both of your names are on a credit card account, you’re both financially responsible for it. If you were to split up, existing debt payoff may be assigned to one or both of you by a judge. However, if your ex is supposed to pay and doesn’t, your credit score will suffer as well. Yes, legally the responsibility to pay rests with your ex, but the credit card company doesn’t distinguish between the two of you if it doesn’t get paid. Is there a better option for financial togetherness? You can add your spouse as an authorized user on your credit card accounts. Authorized users can only make charges, not changes to the account, and aren’t financially responsible for payments. Furthermore, you can have your spouse removed as an authorized user if necessary; he or she can also initiate removal from the account. And the boundaries are clear in case of a divorce: The primary cardholder is responsible for the debt. The best approach: Make sure that each spouse is the primary cardholder on at least some accounts. If you want to share access on some accounts, do it by adding the other spouse as an authorized user. That way, in case of death or divorce, both of you will have built strong credit in your own name.